Never let it be said that the members of Letterkenny Riding Club shirk an opportunity to broaden their minds. 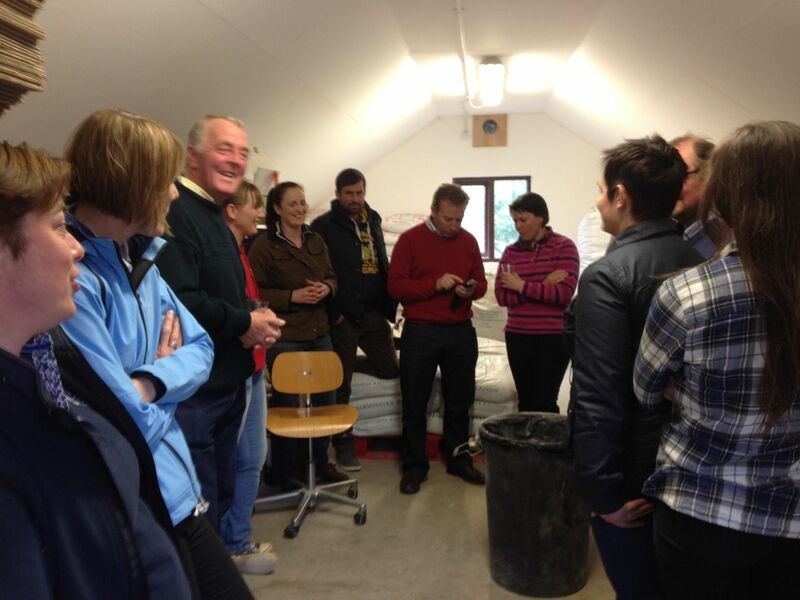 Last Friday evening saw a sizeable group of them following the hops to Kinnegar Brewing in Rathmullan where Libby, Rachel and Louise explained to a very receptive audience just how that magical liquid, beer, comes into being. 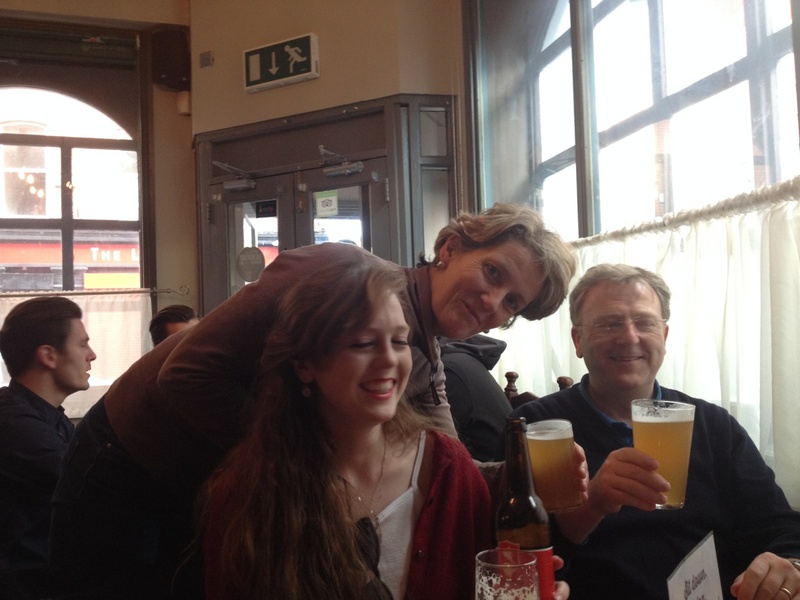 The Cuffes, long-time brewery fans, were with the club in spirit as they knocked back pints of Kinnegar in the Black Sheep pub in Dublin. 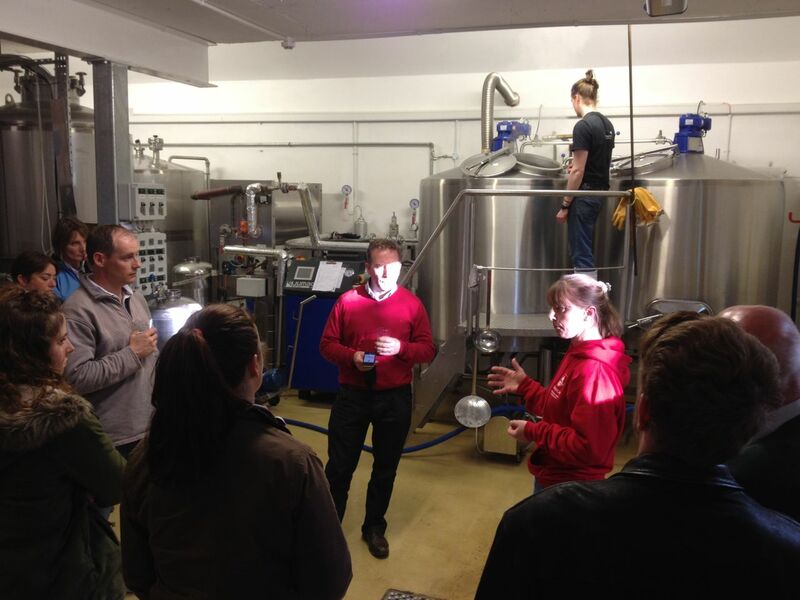 Afterwards, for the practical side of the lesson, the group took a quick jaunt down the road to the Taproom, in the cellar of Rathmullan House. Kinnegar beer and a motley collection of other beverages helped wash down the wood-fired pizzas that were brought to the table in quartets. 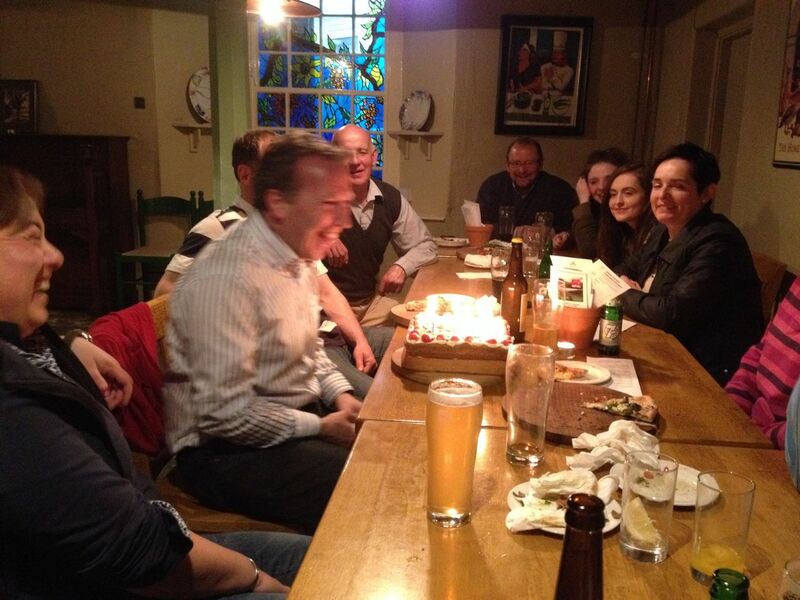 Ever taller stories of blind horses and talking crows brought the evening’s entertainment to the pivotal point when Enda’s birthday cake arrived on the table, rounding off a simple but satisfying meal. Next Friday sees the return of horses to our club activities – remember what they are? Pictured below: Following the hops in Donegal and Dublin. This entry was posted in Club Activities, Social Life. Bookmark the permalink.